Planning to spend some time with your loved ones on a vacation? Make this vacation an extraordinary one!!! Choose a destination that will help you create more and more memories. One such destination is Shoghi: an untouched place amidst the beautiful surroundings that will let you connect more with nature. Shoghi is a small district near Shimla (Himachal Pradesh) that comprises all the required components that make it a perfect gateway destination. Though you must be sceptical about the decision of choosing this not so famous place, once you arrive at the place, you will surely realize that the place is nothing less than a paradise. This is one of the best picnic spots for those who are looking for a vacation away from all the crowd’s hustle-bustle and love the beauty of mountains and appreciate serenity and peace. 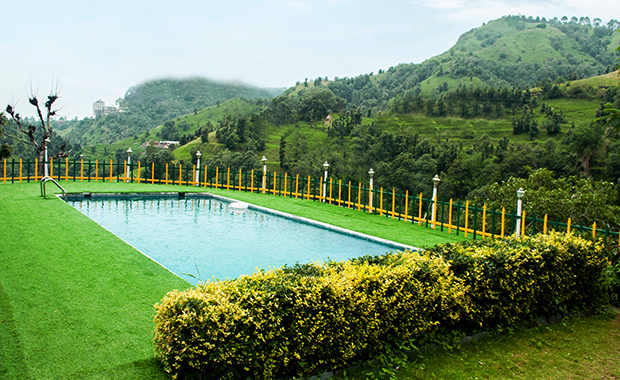 Situated between the Himalayas, it offers a great view of the lush green valleys and magnificent mountains. The place is a must visit for all those who love animals. Different species of animals like Goral, Cheer Pheasants, Rhesus Macaque, Leopards, Crested Porcupine, Black Bear, Wild Boar, Sambar and Barking Deer are found here during dusk and dawn. It is a perfect place for those who love history. It is the six-story building built in Scottish Baronial style in 1888. The place will remind you and will give you a lot of clues about the British Rule. The place is 6 km away from Shoghi. Located between the lush green background of the Shivalik hills, is the best spot for hiking. These hills come with a spellbinding sunset and sunrise view. The temple is 250 years old and is situated on the top of the Tara Parvat. The temple is devoted to the Tibetan Buddhists Goddess Tara, who is believed to be one of the nine sisters of Goddess Durga. As the name suggests, the temple is devoted to Lord Hanuman. Among locals, the temple is also known as ‘Shri Sankat Mochan’ Temple. Local devotees believe that praying and presenting offers to this temple will give good health and prosperity. It is believed that Baba Balaknath is a re-incarnation of Lord Kartikeya. According to the local people, any childless couple who prays with a pure heart is blessed with a child. Already excited? Pack your bags, and embark on an exciting, fun-filled, and adventurous trip to Shoghi. It’s time for you and your companions experience this amazing weekend getaway with TAG Resorts.